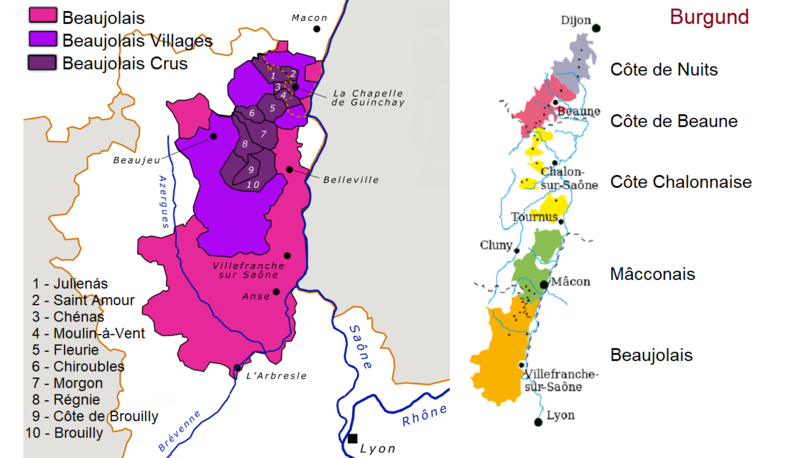 The northernmost of the ten Cru locations in the French Beaujolais who are on the border with the Mâconnais located. It is named after the commune of Saint-Amour-Bellevue. The name goes back to a Roman soldier named St-Amateur, who converted to Christianity and founded a monastery here. The vineyards with 320 hectares of vineyards are located on the east side of the Bessay hill and the slopes of the Colline d'Eglise. The red wines are sorted from the variety Gamay vinified. It may also be marketed wine under Mâcon Villages. This page was last modified at 7 November 2017 at 10:43.